AI, Azure and Windows 10 will all play a key role. 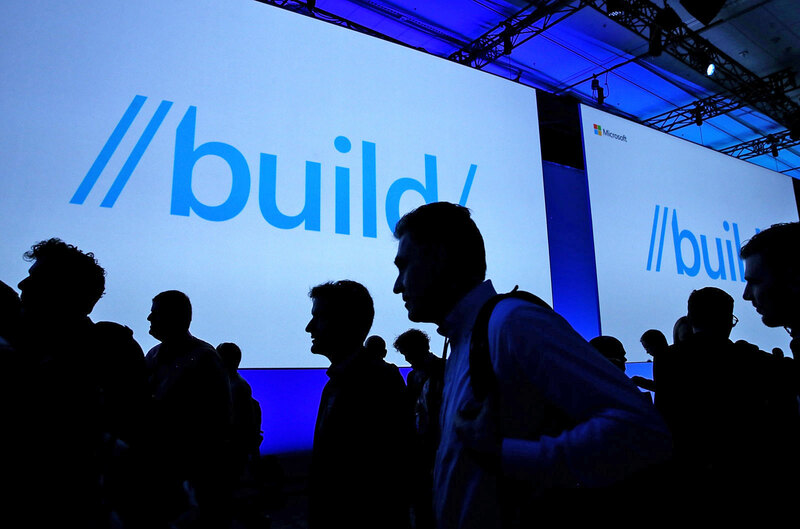 Fresh off of Windows 10's major April update, Microsoft is gearing up for its Build conference in Seattle on Monday. The annual event, like Google I/O (which starts just one day later), is a celebration of the company's developer community. That means you can expect plenty of technical details and (gasp) on-stage coding during the two keynotes, which will be led by Microsoft CEO Satya Nadella and operating systems head Joe Belfiore. But, of course, we'll also hear more about the company's broader goals for the next year, and we'll get a first look at new features for Windows, Office and the rest of its product line. Here's a glimpse of what we expect to see. Microsoft hasn't been shy about throwing the term "AI" around over the past few years, but it's clear by now that's not just marketing fluff. In particular, we expect to hear a lot more about Windows ML, the machine-learning platform that arrived alongside last month's Windows 10 update. It lets developers take advantage of pre-trained AI routines in their apps, which they can run locally or over the Azure cloud. Windows ML can also take advantage of hardware acceleration from GPUs, something Build attendees will likely appreciate. Microsoft has made huge strides in bringing artificial intelligence to its consumer products recently. Its Cortana virtual assistant is steadily getting smarter (it's certainly more useful on a desktop than Siri). AI also sits at the core of the Translator app, which can now tap into AI even when it's offline. Meanwhile, the company's XiaoIce chatbot in China has learned how to politely interrupt conversations, making it more like a natural speaker, instead of a voice-powered computer. We're a long way from Hollywood-level superintelligent AI, but the pieces are falling in place for the next generation of computing. With Timeline in Windows 10, Microsoft not only created a way to track your work across multiple PCs, but also on your iPhone or Android device. So far, that's mainly limited to synchronizing your Edge browsing history, along with Office 365 apps on Android. But the company has hinted in the past that Timeline will eventually be more far-reaching. At Build, we can expect to hear more about how that'll happen, as well as how the Microsoft Graph, which stores all of your progress, can evolve. In particular, it'll be interesting to learn how Timeline can better integrate with iOS, which is notoriously restrictive when it comes to third-party integration. And of course, we'll definitely learn more about other coming features for Windows 10. Remember, Microsoft has committed to updating the OS frequently, instead of the annual (or even longer) updates from past versions of Windows. For one thing, we'll probably hear more about Sets, the experimental feature that lets you run apps in tabs, similar to web browsers. Microsoft hasn't talked much about Sets since its unveiling last year, but developers will need to understand it better before they can implement it in their apps. What's up with Windows Mixed Reality? No, really, what's going on? After launching Windows Mixed Reality last fall, alongside a slew of headsets from PC makers like HP, Acer and Samsung, Microsoft has been surprisingly quiet about the state of its VR and AR platform. Perhaps there's just not much to say, though. The fact that many headsets have gotten drastically cheaper in just a few months (Lenovo's was on sale recently for half-price -- $200) is a clear indication these things aren't flying off the shelves. At Build, Microsoft has yet another chance to convince developers to give Mixed Reality a shot (though the people they really need to reach will be at E3 in June). Take one look at Microsoft's last few earnings reports, and one thing is clear: Its cloud business is booming. So don't be surprised if the company spends a large chunk of time at Build talking about how it can make Azure better for developers. For the most part, that's not something consumers will notice directly. But for brands and businesses, it's yet another way to ensure their apps and online services are stable, secure and can withstand a potential onslaught of demand.